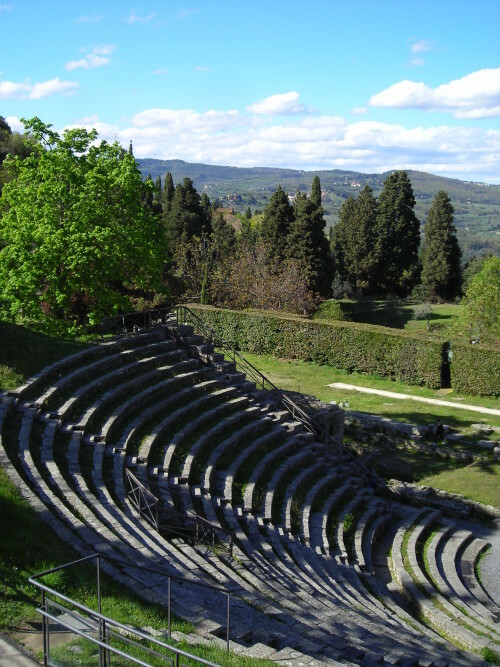 Fiesole is strategically located between the Mugello and the plain of the Arno, a few kilometers north from Florence: a small hilltop village full of history and a rewarding tour for art and nature enthusiasts. 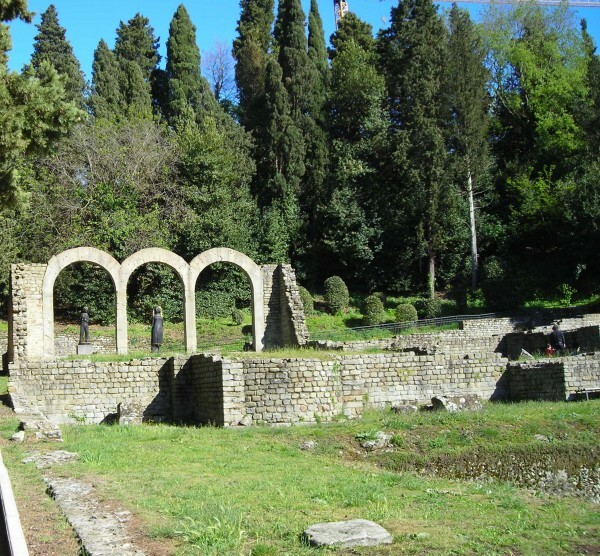 Fiesole still boasts Etruscan and Roman remains, discovered mainly in the 19th Century, and interesting Medieval sights, like the cathedral and the Badia. Still the most significant experiences in Fiesole are the ravishing views of Florence that have contributed and continue to contribute to making the hills a beloved retreat for the Florentine aristocracy and for wealthy expatriates. 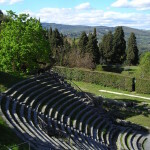 The visit to Fiesole requires an easy and relaxed pace: next to its monuments and historical buildings the village charms visitors thanks to the wonderful location, the views and landscapes, that can be enjoyed also from the central piazza Mino, sitting in one of the many cafes overlooking the valley. The Archaeological area, considered the most relevant monument of the city, combines the visit to Etruscan and Roman remains with the scenic views of the Tuscan landscape with its olive groves and cypress trees. Most impressive are the Roman Theatre, still used in the summer, the Roman baths and the Etruscan temple, surrounded by a substantial part of the massive Etruscan walls. The archaeological museum displays Etruscan, Greek and Italian vases and urns coming from various excavations in the area. The the most remarkable sacred building is the Duomo, on the main square: a Romanesque building with Renaissance highlights in the elaborate Salutati Chapel. Walking up the hill to the church of St.Francis it is possible to enjoy the most stunning view from Fiesole over the Arno valley: the beautiful villas, the convents Badia Fiorentina and monasteries, like San Domenico where Fra Angelico started his career, at your feet are breathtaking. At the top of the hill you will find the early Christian Basilica of St Alessandro, generally used for art exhibits, and the intimate Franciscan convent with an unusual and surprising Museum of the Missions.